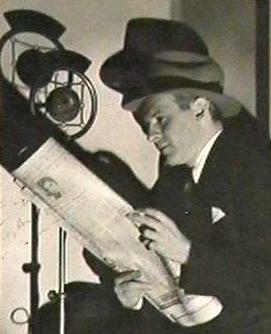 While best known today as the inspiration for Burt Lancaster’s cold-hearted, power-mad show biz columnist in Sweet Smell of Success, Walter Winchell actually got his start in Gus Edwards’ kiddie vaudeville troupe the “Newsboy Sextette.” He began filing regular pieces to the Vaudeville News in 1920, gradually graduating to the New York Evening Graphic and the New York Daily Mirror. Winchell essentially invented the modern gossip column, pre-dating Ed Sullivan, Louella Parsons and Hedda Hopper. His many years in show business gave him an inside track. His fervent anti-communism put him at odds with the tenor of the country in the 1960s. Incidentally, he plays himself in one of my all-time favorite movies Wild in the Streets (1968). Winchell passed away in 1972 — the same year as his pal J. Edgar Hoover. And here is delivering this exceptionally strange promo for Jerry Lewis’s The Bell Boy. To find out more about these variety artists and the history of vaudeville, consultNo Applause, Just Throw Money: The Book That Made Vaudeville Famous, available at Amazon, Barnes and Noble, and wherever nutty books are sold.